Someone Bought This: A WCW Pen - WrestleCrap - The Very Worst of Pro Wrestling! I wonder if this is the same pen Eric Bischoff used to sign all those useless loafs to bloated guaranteed contracts? Or maybe it’s the one Jamie Kellner used to sign the papers to remove WCW from the Turner Networks! We could have a real collectable here, Crappers! 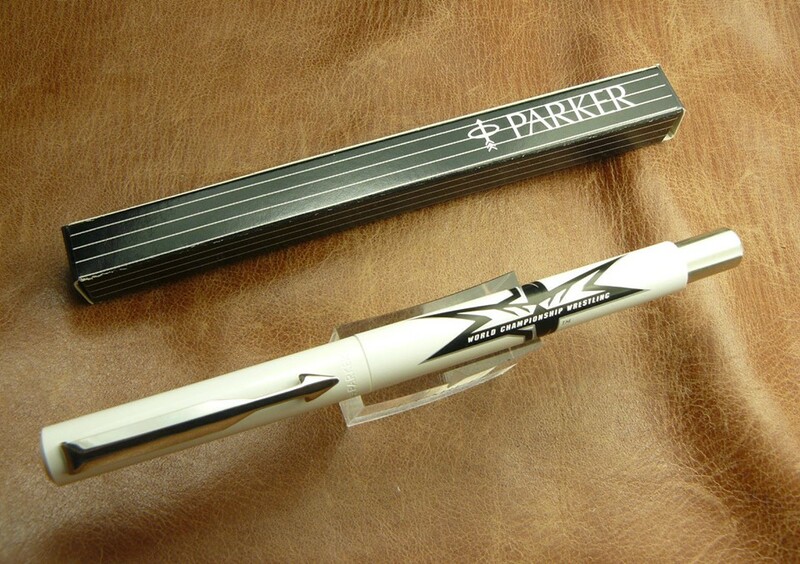 11 Responses to "Someone Bought This: A WCW Pen"
For the gentleman about to purchase his first trailer or for the entrepreneur about to land his exclusive Dale Earnhardt collectible plates it’s WCW pens. Where the big boys write. We Ain’t Here To Write. I was going to say this is the worst merchandise ever, but you got me there with the cologne. No, this was the pen Vince Russo used to jot down ideas he had. It’s like finding William Shakespeare’s quill pen! Except you find his pen covered in poop. And I find it hard to imagine Russo not writing something unless it was in crayon. Not even in good quality Crayola Crayons but the generic ones that always break when you press down to hard. You said it. The old WCW logo was much better and I wish they’d have stuck with it. The ECW pen ran out of ink, but Pauly keep promising to refill it next week. I declare it would be the best Raw ever if it featured an appearance by J.K Simmons staying in character as J. Jonah Jameson. 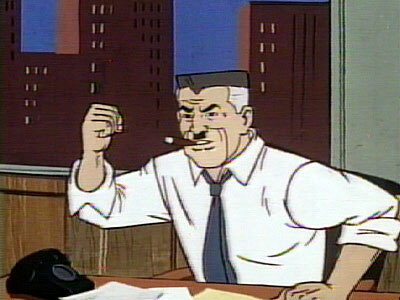 J. Jonah Jameson >> Vince McMahon >>>>>>>>>>>>>>>>>>>>>>>>>>>>>>>>>>>>>>>>>>>Donald Trump.